The Holy Land is a place of stark beauty and deeply mysterious. And, one of its most magical creations––Roman Glass–– dates back over 2,000 years. What sets Roman Glass above and beyond its counterparts is its extraordinary evolution that results in a gorgeous mosaic of iridescent colors that shimmer and catch the light. 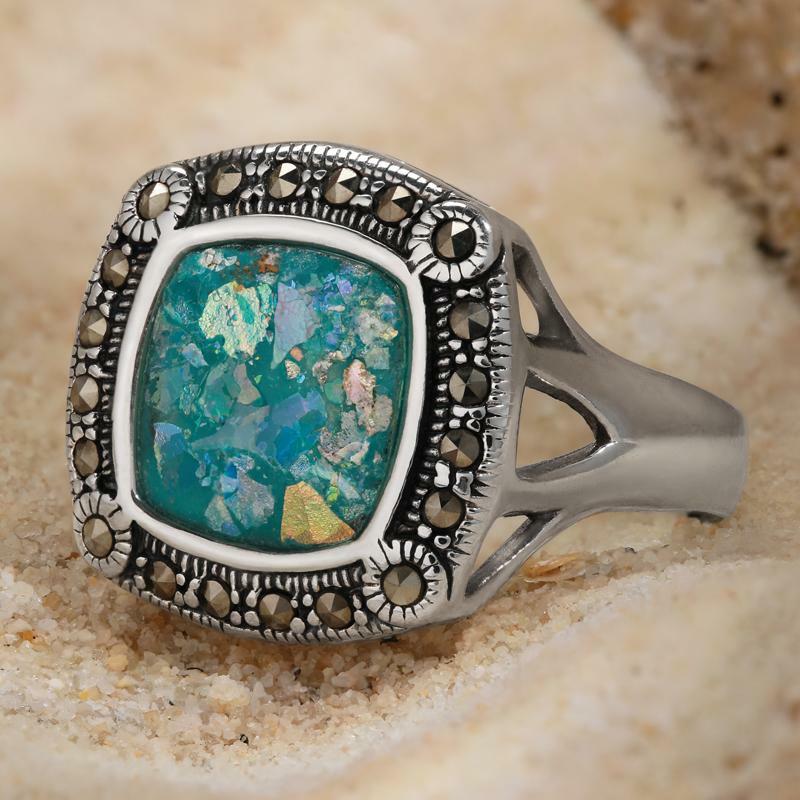 Thousands of years buried in the sands of the Holy Land forms a unique aqua shade with an opalized patina that pulsates with shifting light play much like an opal. What you see here are authentic pieces of 2000-year-old Roman glass. To create the Holy Land Antiquities Collection we journeyed to Israel and found an artisan skilled at creating a wearable pieces of art and history. Authentic Roman glass is framed by antiqued-finished sterling silver bezels accented with the subtle sparkle of marcasite stones. So much more than jewelry, these pieces are living art history that carry within them secrets from a land as old as time.